Jan 12, 2017: Can I connect a 3 pin fan to a 4 pin connector? Apr 26, 2017: Very quiet case fans without much drop in airflow. Jul 09, 2017: First time build, All amazon, built to last, is this good enough? Aug 09, 2017: PC case advice that has visible front fans. Oct 30, 2017: Most quiet fans? 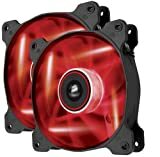 Jan 12, 2018: Which case fan is better? Jun 04, 2018: Will these work? Jun 13, 2018: Is my cost to low? Mar 12, 2019: Getting new PC parts for gaming, streaming, and editing. Want to know if its worth getting. Mar 13, 2019: Getting new PC parts for gaming, streaming, and editing. Want to know if its worth getting.